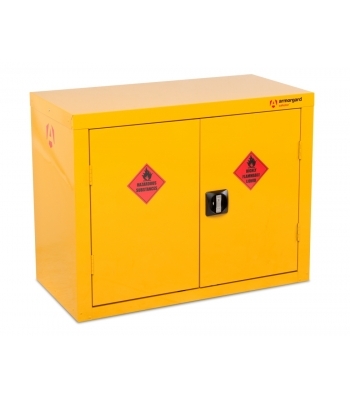 Safestor Hazardous floor cupboard, designed to be used internally for the safe storage of flammables and chemicals, such as paint and other hazardous substances as defined by COSHH guidelines. 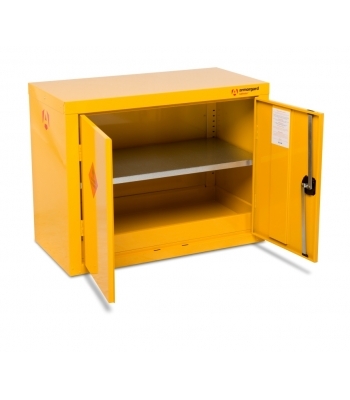 Built to a 30 minute fire resistant. 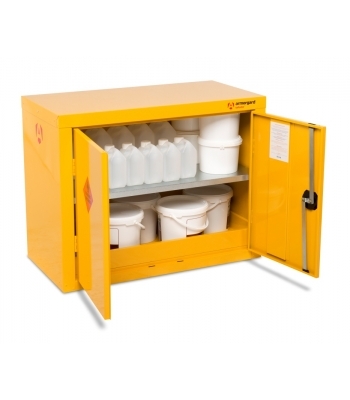 Supplied with 1 spill retaining galvanised shelf, Liquid-tight sump to contain spillages, Flush handles with two point locking, Reinforced doors, Powder coated paint finish, Relevant warning signs. Fantastic ! Service as advertised , even a late change to delivery address . Product great ! Will be back again !